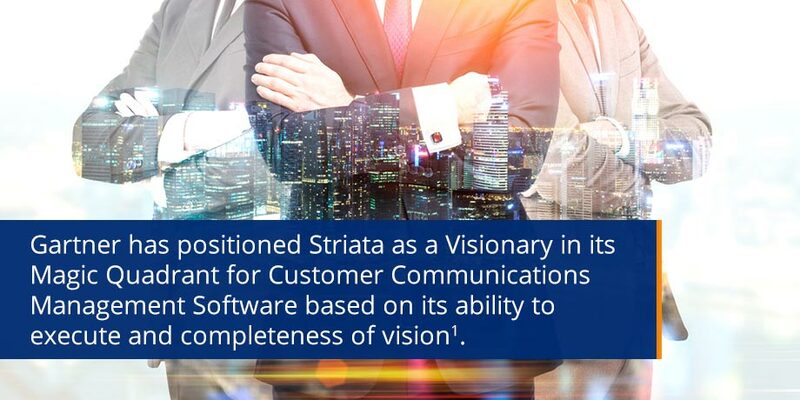 Gartner has positioned Striata as a Visionary in its Magic Quadrant for Customer Communications Management (CCM) Software. The report presents an evaluation of qualifying industry players based on their ability to execute and completeness of vision. In its report, Gartner found that, “Digital business continues to be the spark driving innovation in the mature CCM market”. “We are very pleased that we have been recognized by Gartner in the Visionaries Quadrant” says Michael Wright, CEO of Striata.